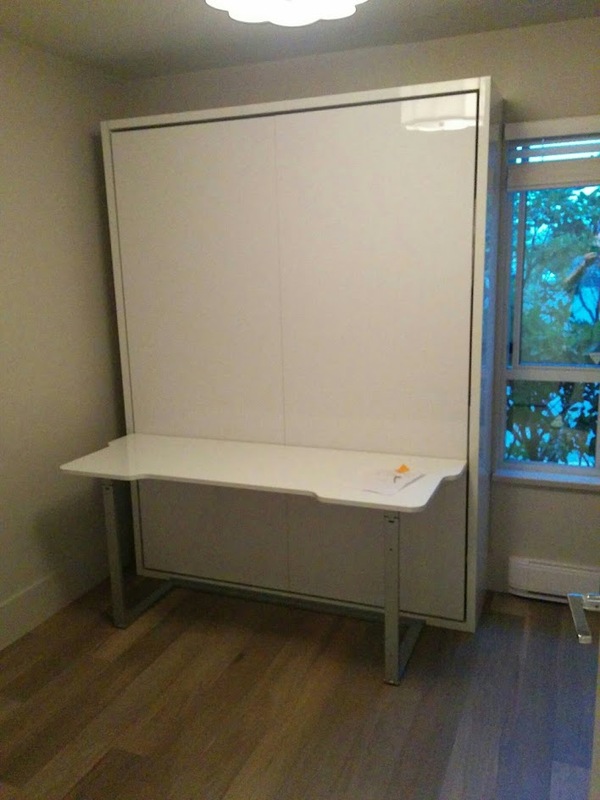 When you need to have the function of an office but don’t want to give up a guest bedroom a Modern Wall Bed Desk is the perfect solution. With a glossy white reflective surface the wall bed helps keep the space bright and visually spacious. Some customers decide to apply vinyl stickers, as you can see below, while others keep the sharp clean look. 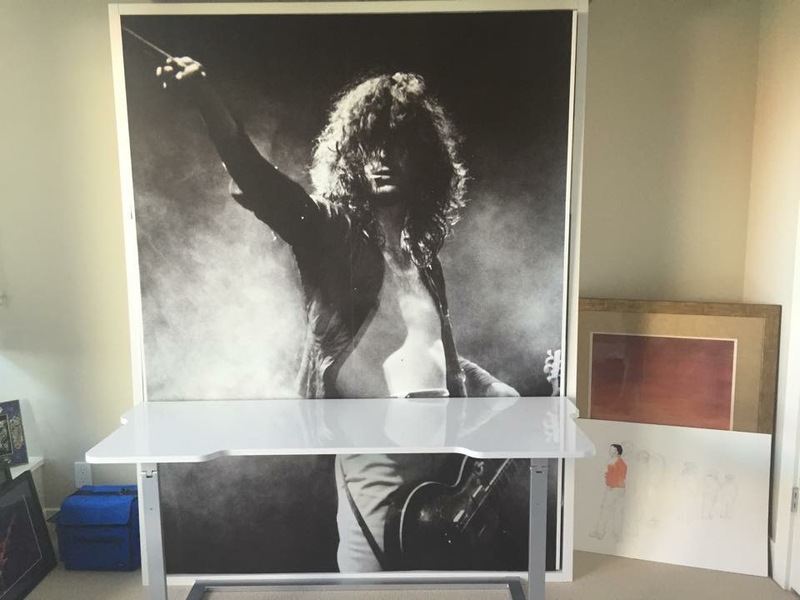 Regardless of your choice it’s easy to apply on a vinyl sticker to the desk surface or the wall bed face or even swap out the desk surface. The newest models even come with a reversible desk, 1 side wood while the other side is gloss. 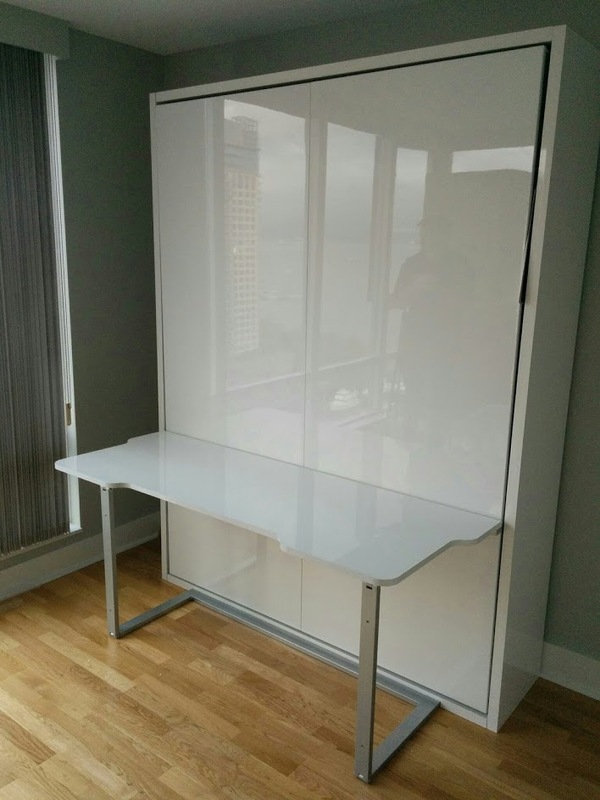 The clean glossy wall bed desk was installed in a customers home to be used as a work office and occasional extra bedroom. The second wall bed desk example below was installed in an art room where the desk surface could be used for sketches and crafting while the whole room can be converted into a guest bedroom when visitors come to town. The third example of the Murphy Bed Desk combination was to have an office space in a compact room. Although a tight fit against a window the room is now a full office as well as a bedroom for when the kids visit. Expand Furniture also has a large selection of online sofa wall beds to choose from, helping you maximize the space in your home.